Quality ratings are based on consumer insights during the first 90 days of ownership. The following models ranked the highest for quality and represent the J.D. Power 2016 award winners for their particular segment. Highest-ranked in the Compact Premium Car segment, the civilized 2016 Lincoln MKZ excelled in initial quality. In initial quality, the spacious 2016 Chevrolet Tahoe ranked highest in the Large SUV segment. Highest-ranked in the Large Car segment, the polished 2016 Hyundai Azera excelled in initial quality. The smart 2016 Audi Q3 was the top-ranked model in the Small Premium SUV segment in initial quality. Dependability ratings are based on consumer insights after 3 years of ownership. The following 3-year old models rank the highest for dependability and represent the J.D. Power 2016 award winners for their particular segment. Performance and design ratings are based on consumer insights during the first 90 days of ownership. The following models ranked the highest for performance and represent the J.D. 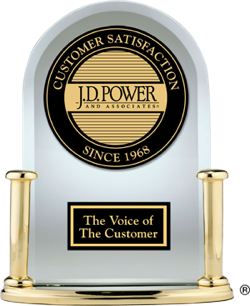 Power 2016 award winners for their particular segment.